very nice on the pose but all i gotta say is. what the heck am i playing? i swear it better be a really good and fast dragonforce song man, woot! xD HAHAHH! That's adorable! I like how you drew those eyes!!!!!! KEWL!!!! !eevees r so cool! !u should punk a pikachu!! 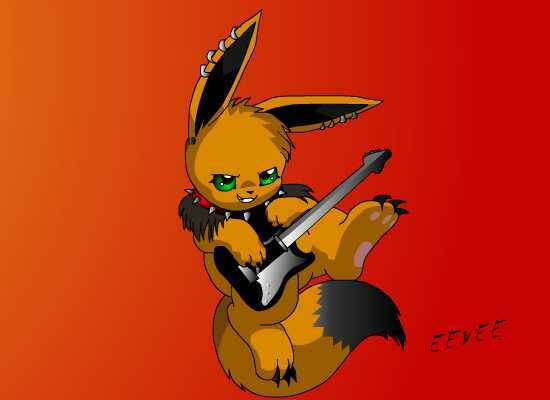 thats so cool- eevee and a guitar!